Today’s post is a bit of a cheat. The assignment for Photography 101 today was to take a picture of water. 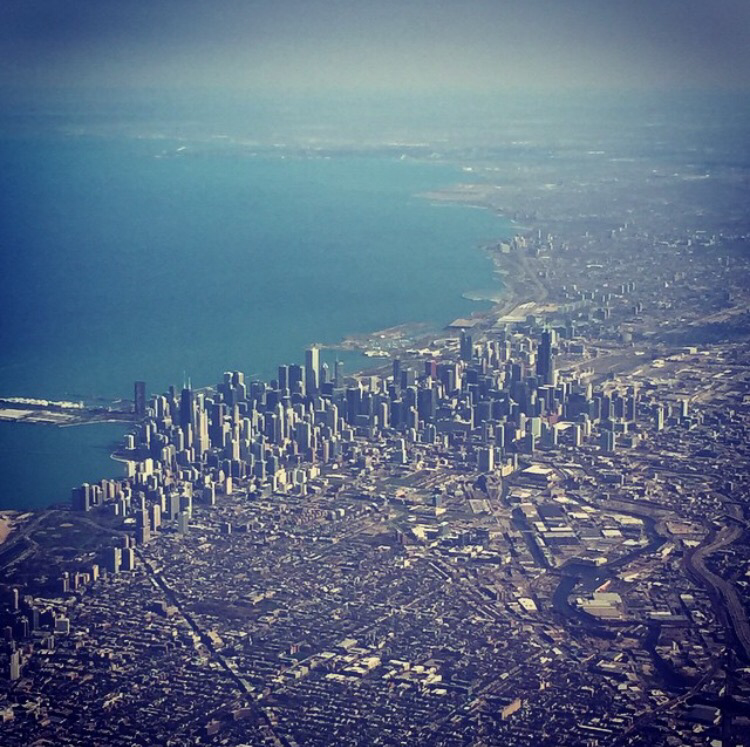 I actually took this photo a month ago when I was flying through Chicago for a business trip (the one when I met Jasmine), but it felt relevant because I’m back in Chicago now. Another cheat: technically, I didn’t first meet Chicago in my twenties (I lived in Chicago from the age of 3 to 7) but as anyone who’s been dragged to Vegas as a kid can tell you, experiencing a place as a child and experiencing it as an adult are two very different things. Chicago is majestic. It’s not like the East Coast cities, formed because that’s where the founders happened to land. Instead, this land was chosen, and the city was built upon the banks of a mighty river. Buildings in cities like Boston (where I grew up) tend to be uniform in their brick and dark colors but there is a great diversity of architecture here in Chicago, and there are many buildings in light beiges and creams that somehow create a more optimistic, forward-thinking vibe to the city. Fellow Bostonians, don’t get me wrong, I love Boston and its history, but it’s like a breath of fresh air to be in a city where the past isn’t staring at you from every corner. I think it’s awesome! I love how you captured the city rising up from the shores. It reminds us that cities were formed as ports for trade. Thanks, Sherri! Yes, I always remember my world history teachers telling us ‘the people went where the water was’.